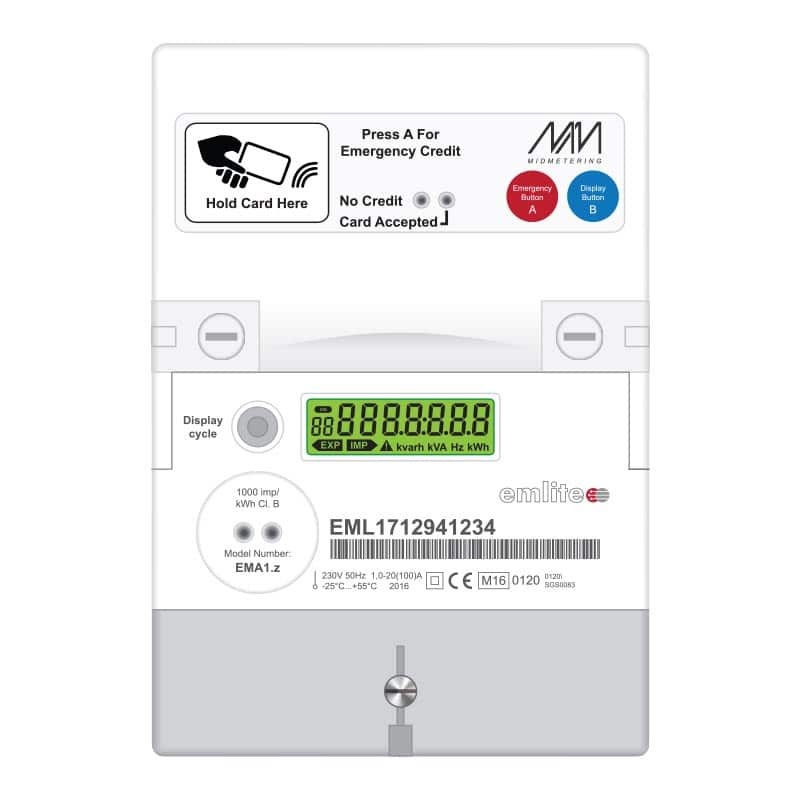 A prepayment meter is a special type of energy meter that can be installed in domestic properties. With a prepayment, or ‘pay as you go’ tariff, you pay for your energy before you use it. For this meter, do I need to buy the software for these meters to work? No, this is an option. Some customers use the cards and dispose of them afterwards and others buy the software and recharge the cards themselves. I’d say on orders over 10+ it’s worth buying, as it works out a lower cost to recharge the existing cards , than to keep ordering new ones. 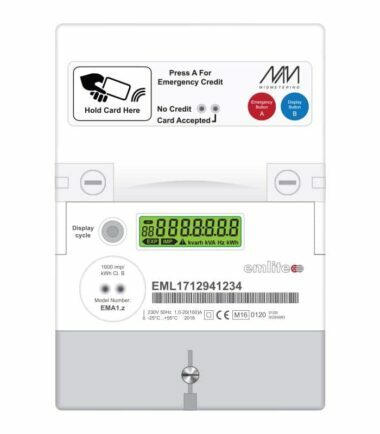 What is the difference between prepayment meters and the timer version? Prepayment is when the meter is set to a chargeable rate ( pence per kWh ) and the amount on the display reduces when electricity is used . 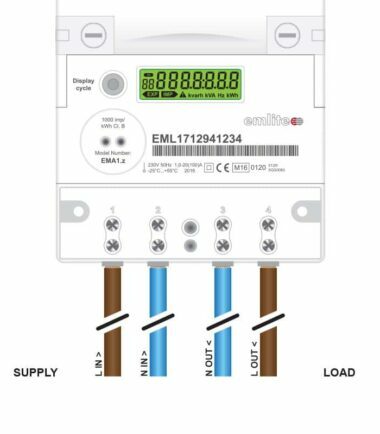 Example , if the meter was set to 10 pence per kWh and £1.00 was put into the meter , then after that a kWh has been used , the display would read 90p etc…. Timer version , works on time not electricity . These are used for showers, washing machines , snooker lights etc. 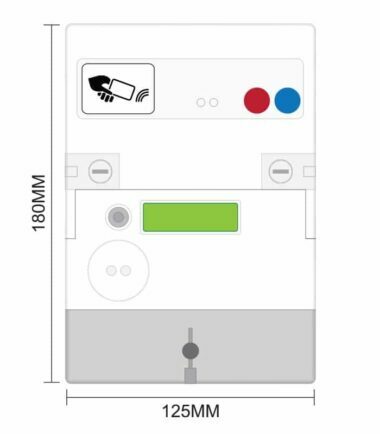 The meter is set to allow a certain time per coin and then once the coin is inserted , the time is displayed on the meter and counts down to Zero and then will cut off. Basically, Prepayment works off electricity and Timer works off time. Have an old meter(s) to exchange? 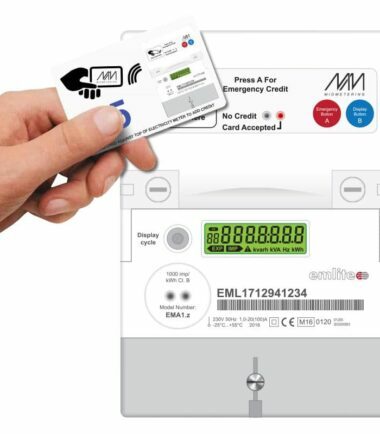 If you’re looking to exchange an old meter(s) after purchasing a new one from us, then send us the details of your meter(s) by clicking on the button below or call us on 01924 891049 to discuss and get money back for your old meter(s). 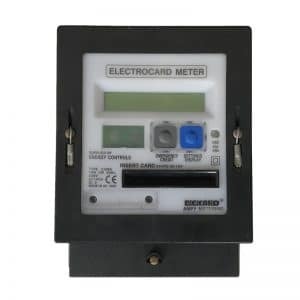 This meter is designed to be used for the control of the electricity supply in utility or secondary metered sites such as holiday and landlord accommodation. 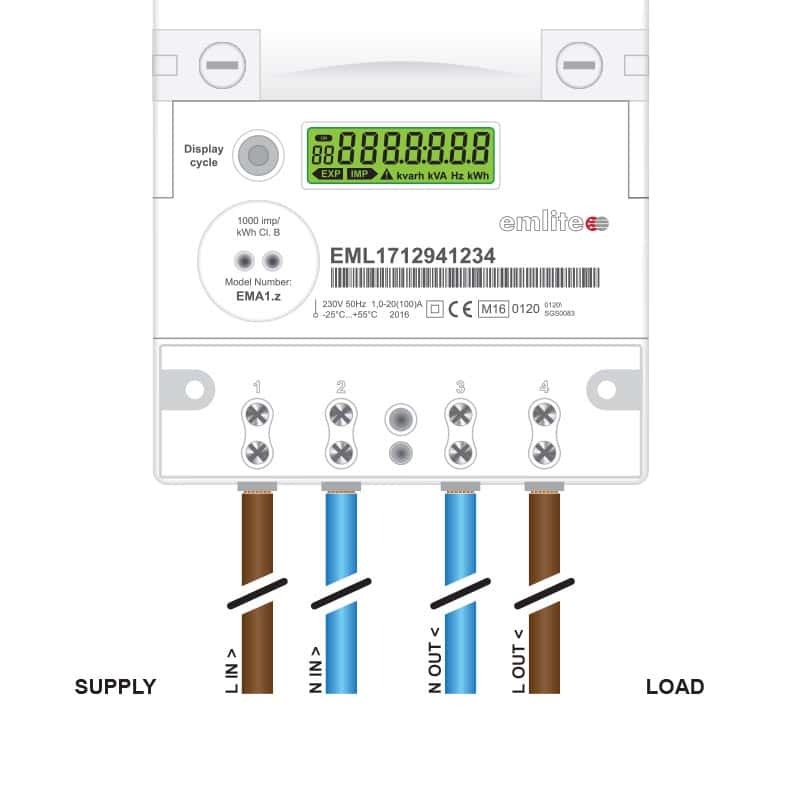 The meter is fully approved to the European metering standard, MID (Metering Instruments Directive). The meter is therefore tested and approved as accurate for billing purposes. The meter may also be used as a time controller. 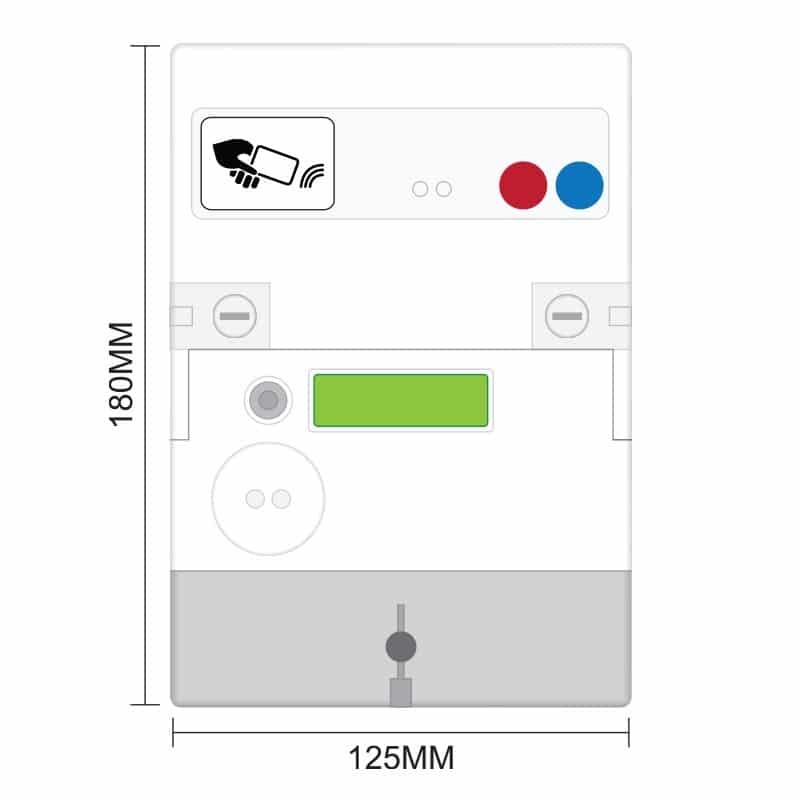 The meter is programmed by using a programming card in conjunction with the red and blue buttons at the top of the meter. The programming function allows the energy prices and standing charge to be set, whilst a debt collection facility enables a pre-set amount to be collected daily. The total amount for collection is programmed and the meter will reduce this each day by collecting monies from the remaining credit balance. Additional card types are available to support a variety of functions including new tenancy and servicing. Please contact your supplier for further information. An electronic display indicates the amount of credit remaining on the meter. This display is also used when programming energy prices, and other meter settings. The grey push button next to the display allows the tenant / user to cycle through a set of displays showing usage totals, charges, etc. 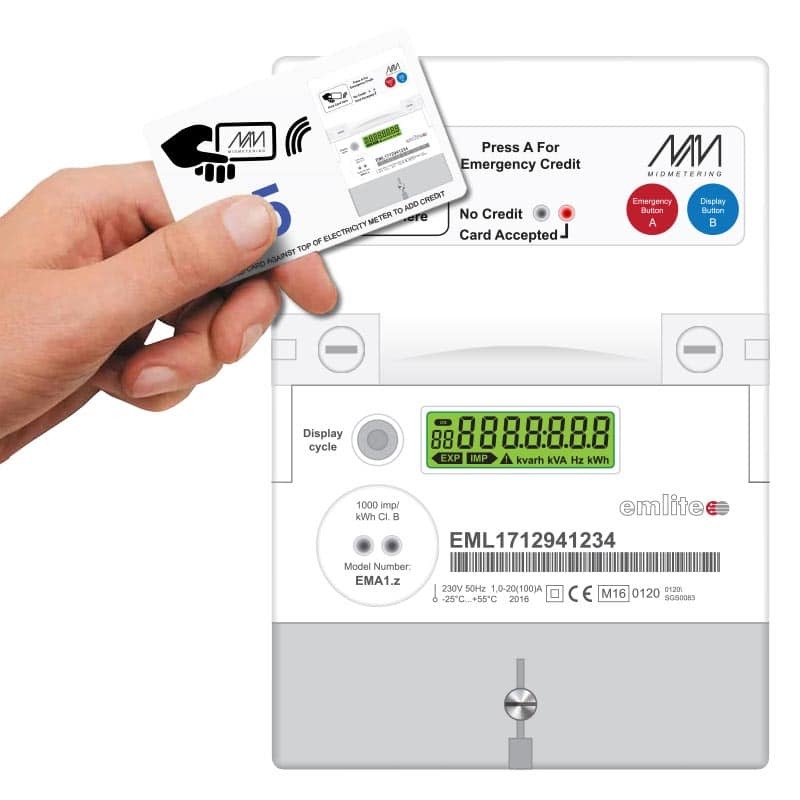 A timer mode allows the meter to be used for the control of appliances and services where the “on” time is set using a top up card that adds a time determined by the value of the card. The amount of time added for a given card value can be programmed to a maximum value of 23h 59m per £/€1.